The children listened to a story about Spaceman Sid. 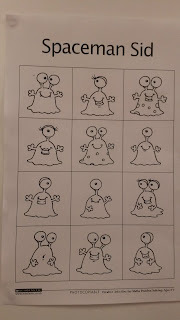 In his spaceship, he landed on a planet named Crit. 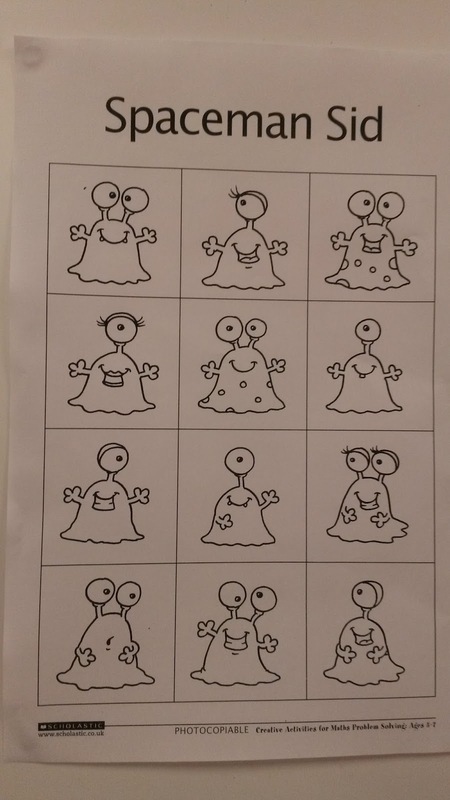 Aliens inhabited the planet Crit, some with 1 eye and others with 2 eyes. Sid met some of the aliens and counted 9 eyes in total. 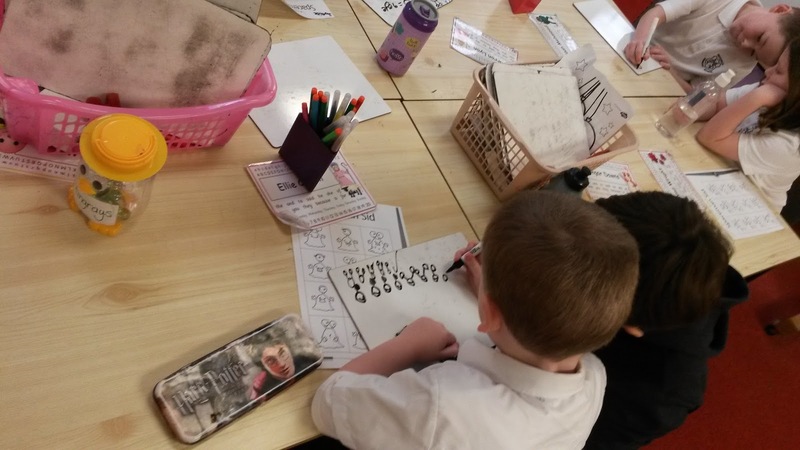 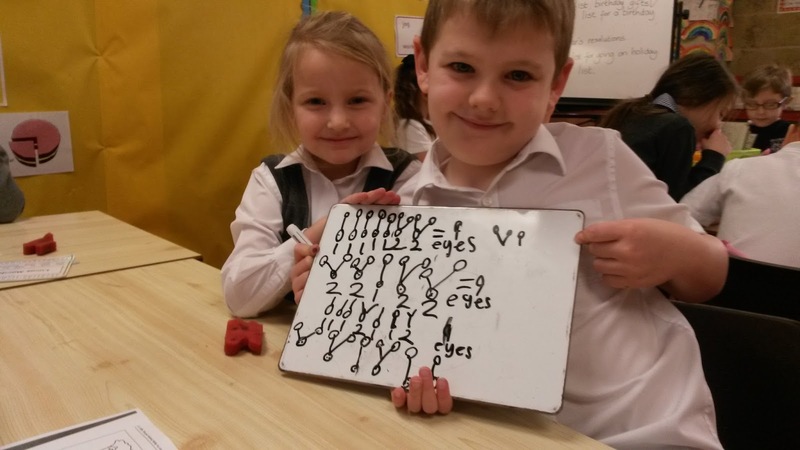 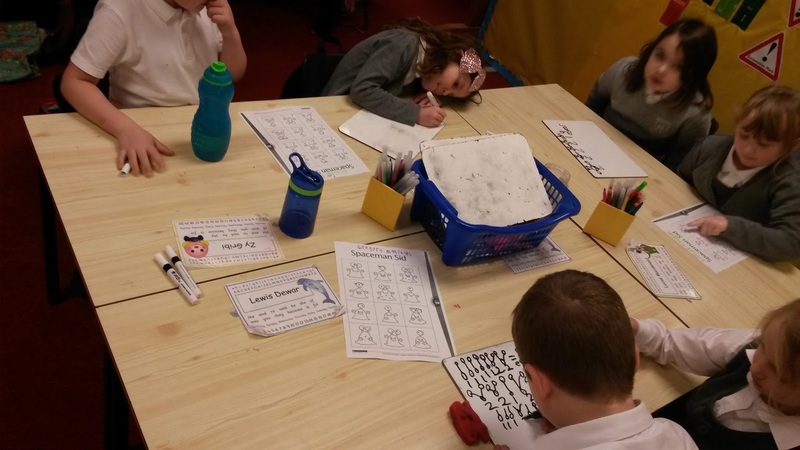 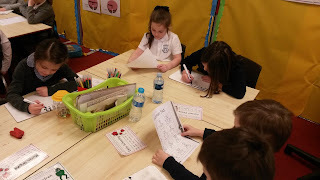 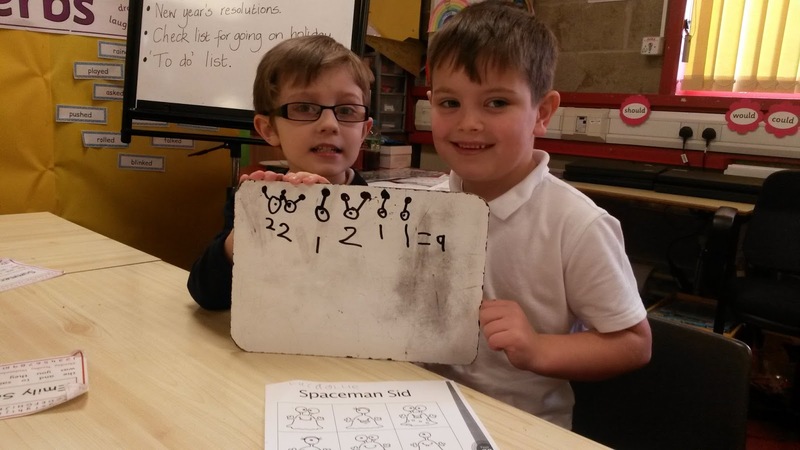 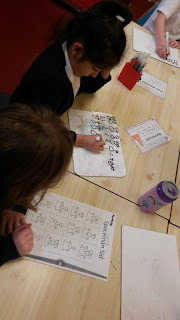 In pairs, the children were challenged to come up with different combinations of aliens with a total of 9 eyes. How do you think they did?